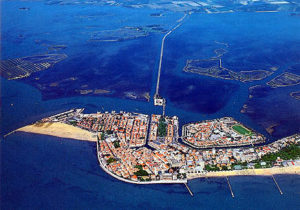 Grado is a charming town located between Venice and Trieste, with a wonderful beach and old roman ruins. The city is referred to as the “Little Venice” due to its navigable canals similar to the ones in Venice. Exit to Palmanova on A4 Trieste – Venezia highway and A23 Tarvisio – Udine. Continue on the highway 352 to Grado for about 18 km. Many bus routes link Grado with the main Italian and foreign cities, such as Udine or Venice. For further information, watch the websites SAF and ATVO. The nearest stations to Grado dispose of bus services with frequent daily trips. Cervignano del Friuli station, 18 km far away. Udine station, 50 km far away. 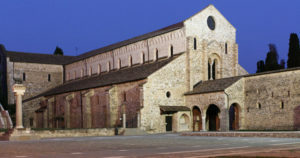 Grado is about half an hour’s drive from the airport of Trieste – Ronchi dei Legionari and about an hour’s drive from the airport of Venice – Marco Polo. Both are connected with bus services.